There is a lovely city named Vancouver on the West Coast of Canada. It was named after the explorer Captain George Vancouver, and it is the third largest city in the country after Toronto and Montreal. There are some wonderful events which are about to happen in the near future and now that make Vancouver a wonderful city to live in. There are some controversies, but the air quality is good, the weather is nice, and the views are to be admired. Published photos of Vancouver show that there is plenty of sites to see and places to go for the sightseers of all walks of life. The Vancouver 2010 Olympics showed what a lovely place with great potential this city has, but the riots after the Stanley Cup in 2011 also showed that this is a city with plenty of growing pains. As the the city and the area grow there are a lot more things to see and do there. While there usually isn't snow, there is a lot of rain, but for tourists this simply means that the best time to travel there is not in the winter but rather the summer months. Over the winter there is a lot of rain but most people fly into Vancouver not to stay long but to go on cruises to Alaska. In the last few years there have been a lot of new things which have made Vancouver grow as a city. Vancouver and the surrounding area is gearing up for a huge event, the winter Olympics of 2010. For those who live in Vancouver this seems a bit odd-- Vancover's climate is not winter at all. The winters in Vancouver are mild in comparison to the rest of Canada. The city itself will host the opening and closing ceremonies, and the ice hockey and some other sporting events. 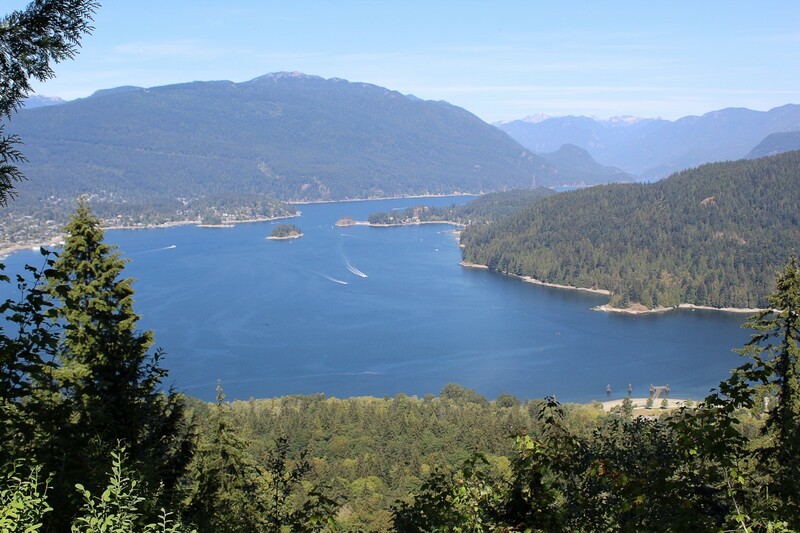 In the mountains close by Whistler, will play host to the skiing events and bobsledding. The one thing which mars this is the protesters who seem to crop up around each event. It seems that their mission in life to make people feel that the community doesn't care about the Olympics. While this may or may not be the case, it doesn't allow for vandalism. Still on the whole the Olympics have brought some excellent infrastructure to the area, as long promised transportation changes were made, and this allows for faster communities. As Vancouver is connected to smaller communities by bridges, these newer faster methods of transport have helped. This will most likely be the biggest legacy of the Olympics. I reserve judgment about the actual event until later. If it helps the economy and the area, then it is worth it, if not it won't be. Simple I know, but I shall see what happens. At this point the overall effect of these Winter games-- after more than a year-- is that Vancouver does have better transit. However, it still looks as if the main effect was located in the downtown core. 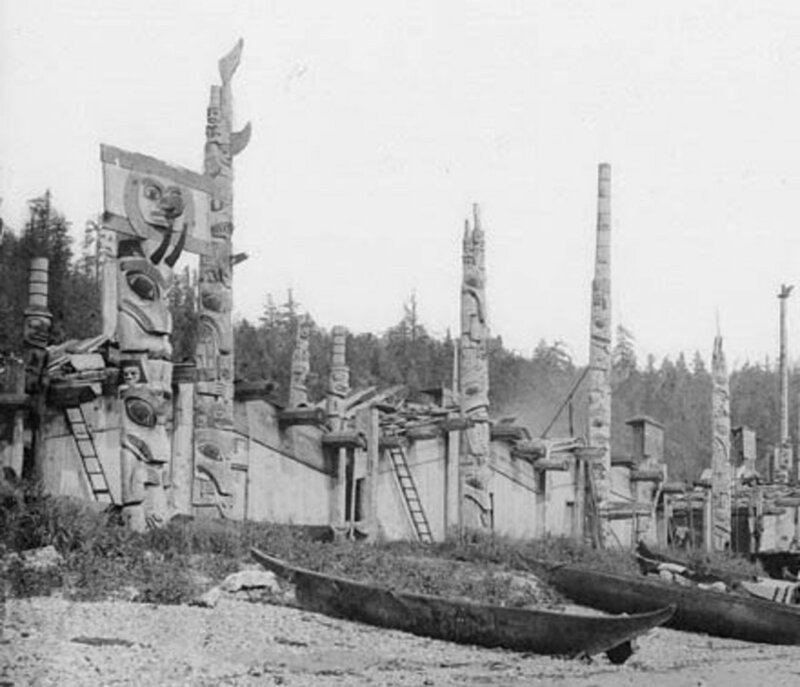 I can't write about Vancouver and not mention about Stanley Park. It is a major tourist attraction, and local resident will travel to it on weekends. It's a great place to simply walk or jog. There is also an aquarium which helps people learn about the large body surrounding their city, water and the life within it. It's great to see children there taking an interest in the environment around them. 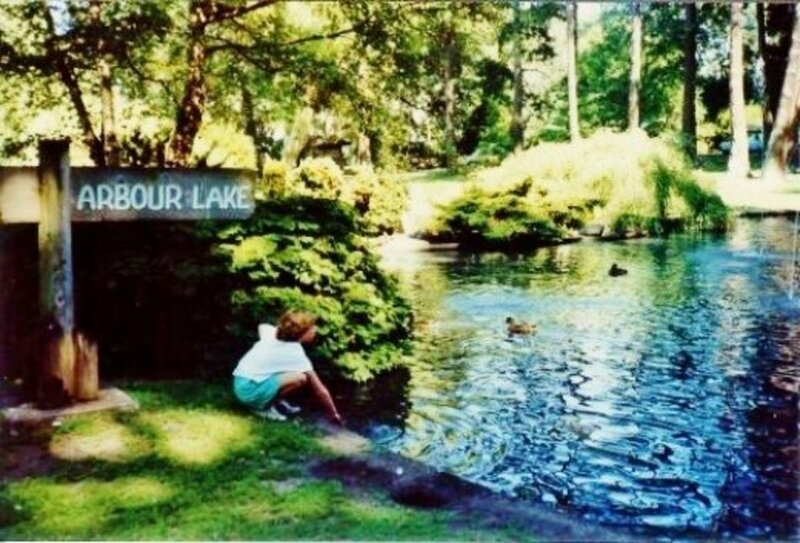 Although many of the tourist attractions such as the petting zoo and a zoo itself are disappearing or are long gone this is still a great place to explore and take in beauty. 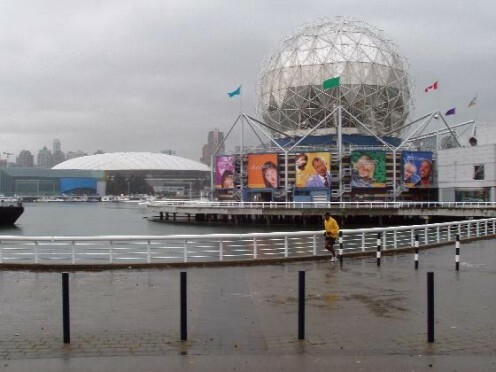 Built for The Vancouver Expo of 1986, this is now used for Science information and other events. It's a great place for people of all ages to learn and enjoy science in their own backyard. it is close to other attractions and the day can be spent there learning more about science. Known as the Telus world of science now it is a landmark piece n the makeup of the downtown core of Vancouver, and can easily been seen on the waterfront of False Creek. I've written about three of the main themes in the area that make Vancouver a great place ot live, but I'll touch on the rest now. The climate here is great, hardly any snow, and I can usually tell my friend on the east coast that the flowers are coming up in mid February while they are still buried under snow. There is great hiking and biking trails. For ski lovers the mountains are close by and offer some great views to make up for a drive that can be slow at times. 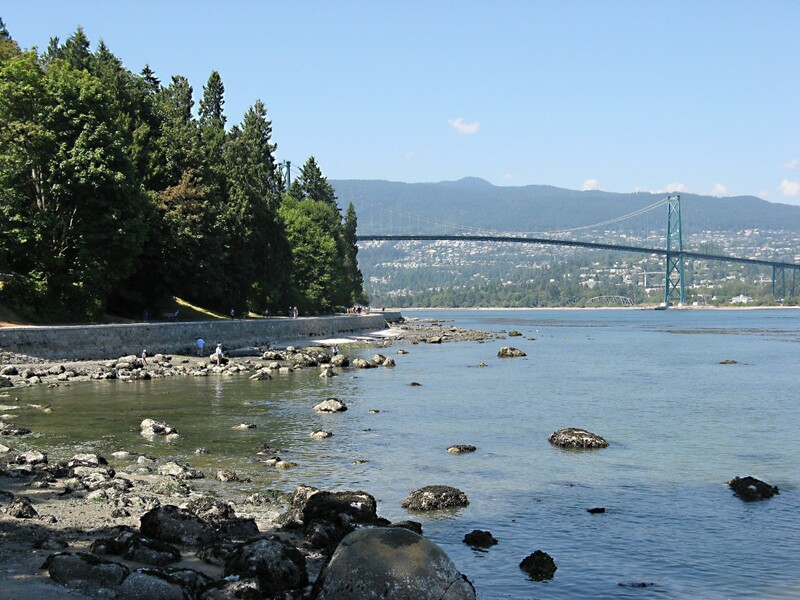 For the beach lovers, there is several sandy beaches right on their doorstep in Stanley Park and other parts of the city. The views of the city are awesome and you can get some great views in almost every part of Vancouver, Queen Elizabeth park and other places are great to see some new views of the downtown core. There is also Grandville Island market a must see for any traveller and anyone else who loves the atmosphere in that area. For sports lovers, there is the Vancouver Canucks Hockey Team, the Vancouver Giants Hockey Team, the BC Lions Football Team, The Vancouver Canadians baseball Team, and of course the Vancouver Whitecaps soccer Team. All of them are involved in the community, and this is a part of the fabric of the city. There are lots of things to do which make this city so great to live in. I also enjoy the climate. What I most enjoy is the diversity this city has to offer. There is something for everyone and there is a lot more the city has to offer. vancouver is lovely, and it is always a city where you can do many things. so there you go. I just fell in love with Vancouver!!! So much nature, water, nice climate, beautiful architecture, beaches. 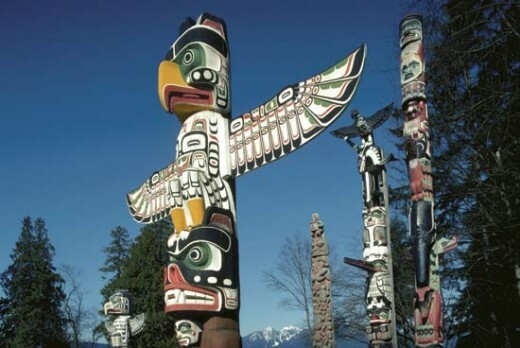 The Totem Poles(I have so much admiration for tribal magick and beliefs) I certainly enjoyed this hub very much...I really loved Vancouver, Geez! Michael Shane-- yes it is beautiful and I love living here, and the Plympics should be a great thing to have. thnaks for stopping by. Winter Olympics excite like the chill in Canada. 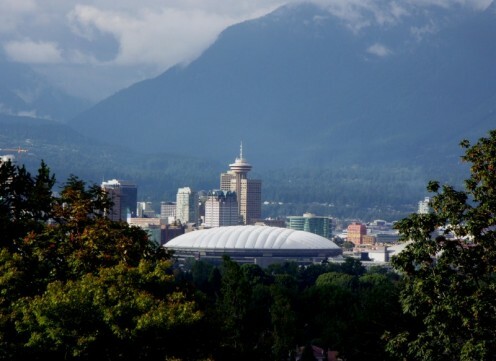 We are almost taken to Vancouver on reading this nice piece on the city. Wish I could watch the sporting extravaganza! for the record today there are 100 more days until the olympics decend upon Vancouver should be interesting. I agree. I love Vancouver. While I am big on Montreal, because I love French, Vancouver has by far the best weather out of all the big cities in Canada. I know it rains by it doesn't downpour and the climate is temperate. Its never too hot or too cold like other cities and the backdrop is beautiful. I very much liked your article on Vancouver. It is one of my favorite cities for the reasons you have given and for its delicious and authentic Chinese cuisine and its marvelous shops along the waterfront. vancouver is gearing up for the winter games there, and that should be interesting... thus far according to reports, on budget and on time. Spent five glorious days there on vacation a number of years ago and have written hubs about our great experiences in and around Vancouver. As you say, the beauty of the place, the climate, the parks.....I could go on and on. We loved it! You are fortunate to be living there. Hopefully the Olympics will bring money to Vancouver and be a nice and lasting legacy. Catherine R. I'm sure you will enjoy it! It looks just great. I would love to visit - and hopefully I will one day. Thanks for a very nice hub. Great hub,hoping to go there next August..really looking forward. I love this city. 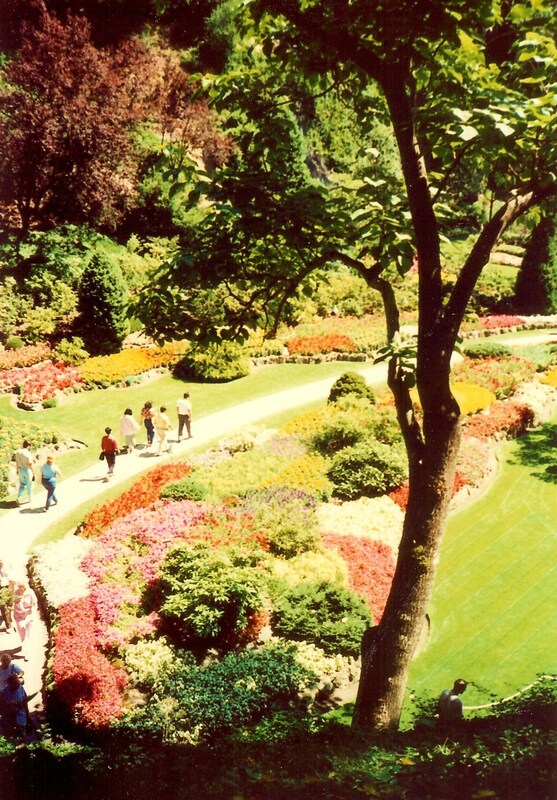 Although i was there back in the late 70s I remember Stanley Park, Grouse mountain and a garden which had the most beautiful flowers. I was only about 11 then lol. Isn't the X files filmed here? Capsilano bridge or something like that? Great hub Rebecca, thanks for sharing!